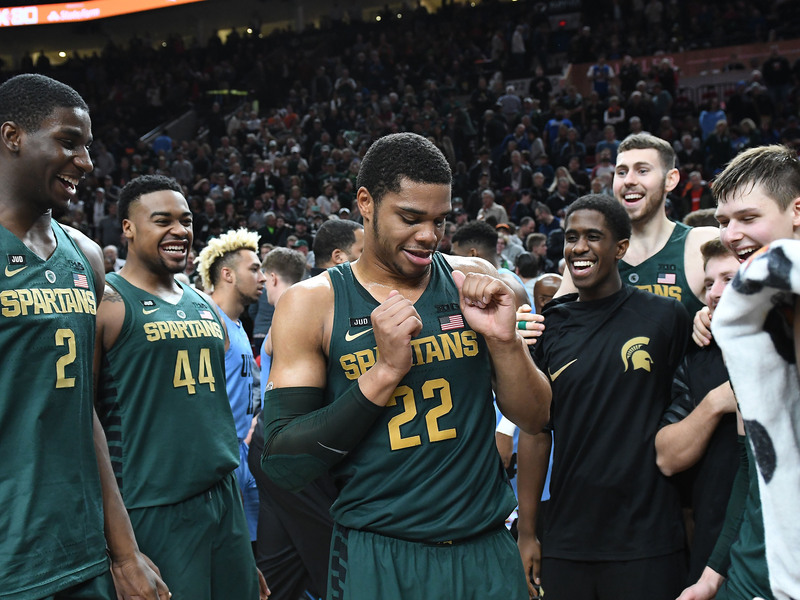 NBA Draft Mailbag: Will Miles Bridges Be the First Spartan Selected? Will Miles Bridges be the first Spartan selected? Is Michael Porter Jr. done at Missouri? We answer these questions and more in the Front Office’s inaugural draft mailbag. Keeping track of draft trends and storylines throughout the season can be a perplexing task from the outside looking in. Prospects’ movement up and down mock drafts and rankings isn’t always commensurate with what you’re seeing on the court. Things fluctuate heavily until the picture starts to crystallize after the season. It’s very natural to wonder why. So, welcome to the Front Office’s inaugural draft mailbag, where we’ll semi-regularly take all your burning questions and try to offer some informal insight into the why and how of this process as the season rolls along. With that said, direct all future questions to SIFrontOffice@gmail.com and we’ll do our best to get to as many as we can. Let’s dive into these emails. (OK, some of them were tweets. We’ll let it slide). Q: Help us end a heated office debate: Which current Michigan State Spartan will be drafted first? — Drew M.
Jaren Jackson and Miles Bridges each have their merits as lottery picks, but to me, Jackson is the superior prospect and it’s not especially close. Where that means he’ll be drafted remains to be seen, but his blend of length, shot-blocking ability and potential to space the floor has built-in value. When you couple that with the fact he’s an entire year younger than many of his freshman classmates, and how much he’s improved over the course of the last 12 months or so, Jackson is a fairly projectable player. He’s not without flaws—he doesn’t appear to be an elite leaper and has to improve as an interior scorer, plus the mechanics of his jumper are a bit of a mess. But there’s a lot to like in the long term. Comparing Jackson head to head with Bridges and eliminating team need as a factor, it’s pretty clear the big guy has a leg up. NBA front office members I’ve spoken with over the past few weeks have been down on Bridges. He’s been producing for the Spartans, but has struggled to make a convincing case for himself when it comes to expanding his ball skills and ability to create shots. While his energy and high-caliber athleticism will certainly be a sell, his key stats are down across the board and his three-point shooting has (predictably) regressed. He’s never had ideal length for a forward, and without an ideal shot-generation element to his game, he may wind up positionless in a negative sense. Bridges faced high expectations coming back to school, and as it stands he needs to prove some things. Come June, Jackson would be my bet. Q: What are the chances Michael Porter Jr. bolts for the draft without ever playing college basketball? — Zach C.
Not to be the well actually guy here but... well actually, Porter logged about two minutes in Mizzou’s first official game of the season against Iowa State. That said, the chances of him returning to the Tigers are extremely slim. Before Porter had back surgery, he’d hinted to local media that he wasn’t a sure thing to go one and done. But if he were to stay, he either really loves college or is getting terrible advice. While Porter comes with an estimable injury risk, he’s still tracking as a top five selection, probably top seven at worst barring serious medical red flags. With that noted, putting himself through another year of college hoops, re-risking injury and forgoing a year of earning potential at minimum makes next to no business sense. We’d all have loved to see him play college ball, but it’s a pipe dream at this point. Q: Why aren’t people making the Kevin Knox/Jayson Tatum comparison? They seem like very similar players to me. — Steve Q. Coming into the season at Kentucky, the first question I had about Knox was whether he’d be able to play as a three on the wing, or be restricted to hybrid four-man duties based on his less-advanced handle. He now looks like a polished enough shooter to be a three, at least some of the time, but lacks the advanced feel Tatum has always had for scoring with his back to the basket and off the bounce. As a result, Knox still struggles to involve himself in games when teammates aren’t looking to find him—an issue Tatum has never really had, even before his evolution into a quality three-point shooter in Boston. Q: If you were a Celtics fan, would you be rooting for the Lakers pick this year (likely in the 4-5 area) or for the Kings pick next year (potential to be higher and include high schoolers)? — Connor H.
The potential caveat of changes to one-and-done rule thickens the plot here. Still, my general philosophy when it comes to picks with relatively equivalent projectable ranges is the sooner the better. And while forthcoming changes to the draft lottery odds system in 2019 may incrementally boost the Kings’ chances of landing a top selection, it’s still tough to guess, much less bank on what the NBA landscape will look like a year or so from now. If Boston picks two through five this year, they’ll be in position to acquire a very useful young player (or have a great trade asset on their hands). Kyrie Irving and Al Horford have player options after next season, and the more quality guys you can fit around them, particularly on rookie-level salaries, the better. Given the Celtics’ current competitive window and salary structure, I’d want that pick as soon as possible. Q: Has LaGerald Vick's recent play shot him up draft boards at all? Also, I have been surprised to not see Udoka Azubuike's name on draft lists. 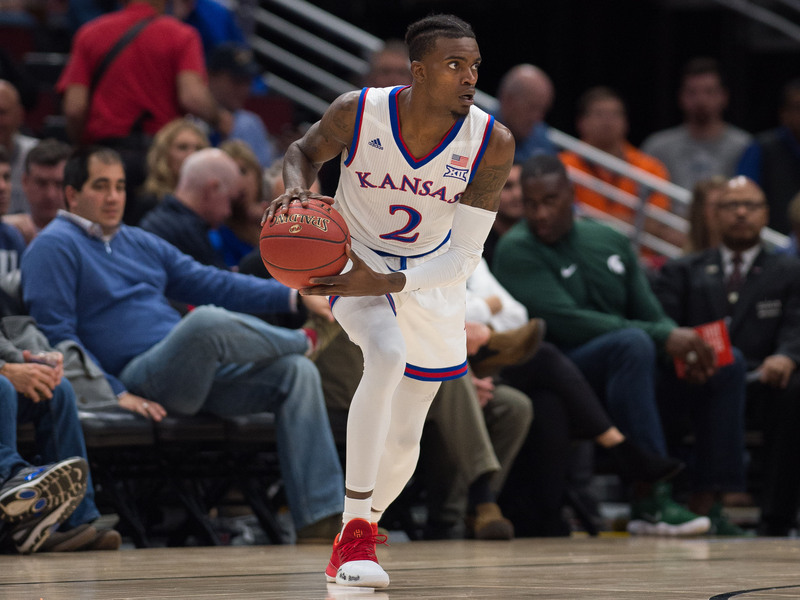 — Brendan S.
There are fewer surefire pros than usual on this year’s Kansas team, but all three of these guys are certainly on radars. Vick’s play has been strong and I’ve been a fan of his game since high school. People are paying attention and it’s definitely possible he makes the cut for our next Big Board. He’s productive in several areas and has done well having to play essentially as a forward in a guard-heavy rotation. It’s worth mentioning that Vick’s domestic assault situation that dates back to 2015 will lead teams to do heavy background work. It’s hard not to notice that Mykhailiuk has been playing the best ball of his career, and while he’s a senior, he’s still just 20 years old. He looked overwhelmed at last year’s draft combine, tested and measured poorly and will have to really shoot the lights out to make it at the next level. I’ve never been especially high on him, but I’d venture he’ll have another chance to prove himself. As for Azubuike, he moves well for a (very) big guy, but there’s just not much to his game at this stage beyond being enormous. He has a long way to go offensively. Wait and see. Q: Is Nickeil Alexander-Walker a one and done with the season he's had so far? — Fam O. Could he be? Probably. Should he be? Different question. Alexander-Walker has had impressive moments for Virginia Tech and piqued some interest, but the general sentiment I’ve heard, one I’d agree with, is that he’s far from ready. Chris Johnson detailed his case nicely for us last month. With his well-rounded game, Alexander-Walker has put himself in position to test the waters, and if he plays well against the rest of the ACC may have a case to go now. His versatility, playmaking and size holds appeal. But coming back to school, working on his body and absorbing added responsibility for the Hokies may be ideal for his long-term development. Q: Is it possible that Luke Maye gets drafted? While we are at it, does Joel Berry have a chance? — Greg M.
I think Maye more likely falls into the category of “good college player.” He’s skilled and has developed into a nice piece for UNC, but it’s hard to get around the issue of physical measurables and his ugly free throw shooting versus what may be an untenable shooting clip from outside. Not to harp on the comparison, but as a rookie at the combine, Kevin Love measured 6’9” in shoes with a 6’11” wingspan, posted a 35” vertical and tested well all-around (despite being much heavier than the player we know today). He entered the NBA as an already-elite rebounder and legitimate post player. Maye is more of a tweener, lacks the high-end physical attributes and will be treated with skepticism. In Berry’s case, beyond his intangibles, not much jumps off the page right now. Q: Does Jacob Evans get drafted? — Nolan M.
Q: Could Ky Bowman and Khyri Thomas break into the first round? — Brad C.
Creighton star Khyri Thomas came in at No. 32 on our Big Board that dropped this week and is right on the first-round fringe. His 3-and-D ability makes a lot of sense at the next level, and he should be able to slot into a lot of teams’ schemes as a result. Tough on-ball defenders who can shoot it from outside are definite commodities, and if he keeps up this clip, he’ll lose sleeper status. Bowman came up huge against Duke and has really produced well, but I think he’s at least another year away. 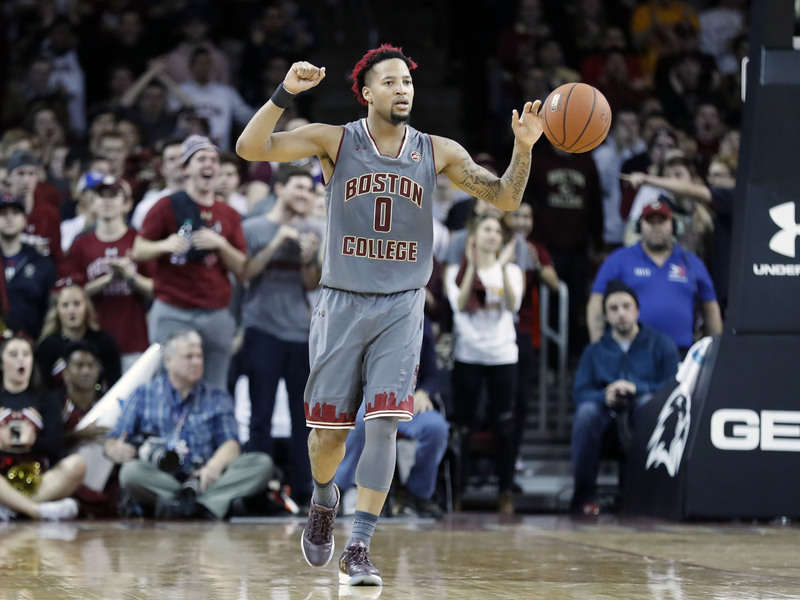 I admittedly have not watched Boston College enough, but separating yourself from the pack as a smaller guard can be difficult, just given how many there are every go-around. At this point, Bowman and counterpart Jerome Robinson may want to continue building their reputations and trying to turn that program around. Q: Hey Jeremy, how will the Bulls manage to disappoint their fanbase this year? Thanks. — Kevin M.
By unabashedly tanking, then winning meaningless games. It’s already begun.